Jesus Christ was not a real person and is probably the result of a combination of stories about several different individuals, according to a writer and leading atheist activist. David Fitzgerald, a San Francisco based author, believes he has compiled compelling evidence that proves Jesus did not exist. He claims there are no contemporary mentions of Jesus in historical accounts from the time when he was supposed to have lived, yet other Jewish sect leaders from the time do appear. He also points to discrepancies in the early gospels of Mark, Matthew and Luke, claiming these were written decades after the supposed time of Jesus. Instead he insists the disciples of Jesus were also probably not real and their names only later attached to the gospels to lend them credence. 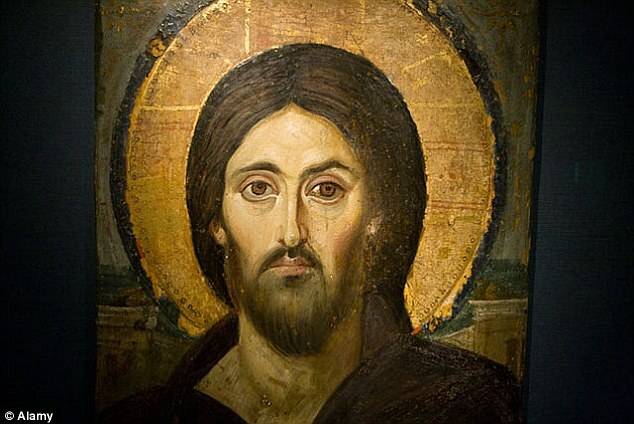 Historical researcher Michael Paulkovich has claimed that Jesus of Nazareth did not exist after being unable to find any verifiable mention of Christ in historical texts by 126 writers during the ‘time of Jesus’ from the first to third centuries. He claims that he is a fictional character invented by followers of Christianity to create a figure to worship. 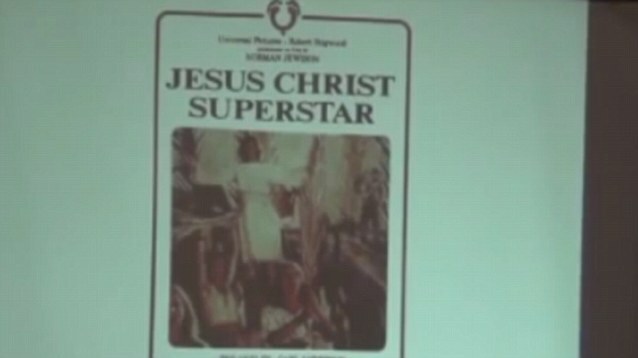 The 126 texts he studied were all written in the period during or soon after the supposed existence of Jesus, when Paulkovich says they would surely have heard of someone as famous as Jesus - but none mention him. 'When I consider those 126 writers, all of whom should have heard of Jesus but did not - and Paul and Marcion and Athenagoras and Matthew with a tetralogy of opposing Christs, the silence from Qumram and Nazareth and Bethlehem, conflicting Bible stories, and so many other mysteries and omissions - I must conclude that Christ is a mythical character,’ he writes. In a new book due to be published later this year, he will argue that the figure of Jesus was actually a combination of pagan rituals and stories about other people. Speaking to MailOnline, he said: 'There is a paradox that Jesus did all these amazing things and taught all these amazing things yet no one heard of him outside his immediate cult for nearly 100 years. 'Or it means he didn't do all these things at all. 'The first gospel of Christianity appears to have been a literary allegory that were written decades after the time they portray. 'I believe that Christianity started as one of the many mystery faiths that appeared at the time where old Gods and old traditions were rebooted. 'Christianity appears to have been a Jewish mystery faith. 'By the time of Paul there appears to have been plenty of different "Lord's suppers" as he complains about the existence of other gospels and messiahs. 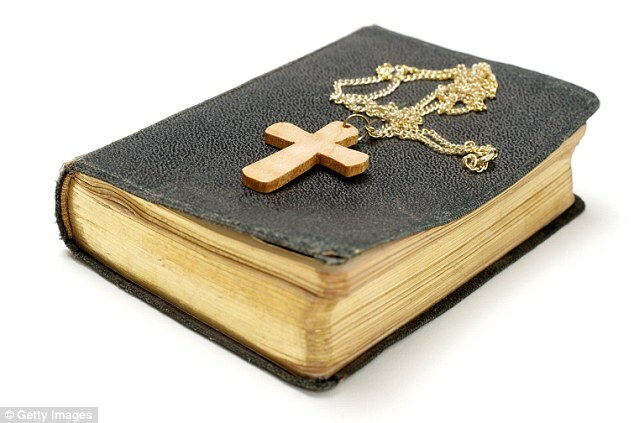 Mr Fitzgerald, whose first book 'Nailed: Ten Christian Myths that Show Jesus Never Existed at All' was published in 2010, believes it is no longer reasonable to assume there has to be a single historic figure who began Christianity. Instead he says early Christians drew upon the beliefs and rituals of other cults and faiths around in the first century. He argues that John the Baptist's cult is one such example and had initially been a competitor to the cult of Jesus before being incorporated into the Christian story. Mr Fitzgerald said: 'There is nothing implausible to think that Jesus was a real person, but I just don't think that he can have been a single person if he existed at all. 'We also have no mention of Jesus in other historical texts from the time. There were certainly people writing about Judea at the time like Philo of Alexandria. 'During this period there were many other messiahs and wannabe messiahs who did far less exciting things than Jesus, but all of them managed something Jesus did not - to make a dent on the historical record. The earliest mention of Jesus yet to be discovered is a limestone ossuary on which the words 'James, son of Joseph, brother of Jesus' is inscribed. 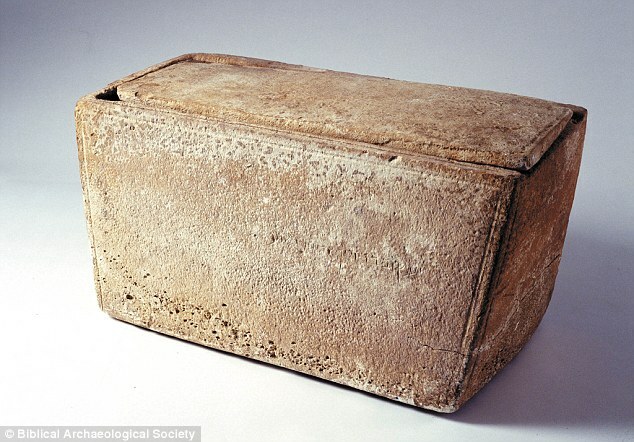 The box, which has been dated to 64AD - several decades after the crucifixion - was seized by the Israeli Antiquities Authority and its owner arrested for forgery in 2003. Although he was later cleared in 2012, doubts about the authenticity of the inscription remain. Others have said there could have been several people named James, whose father was called Joseph and had a brother called Jesus living in Jerusalem at the time. There are three mentions of Jesus in non-Christian sources which have been used to research the existence of a 'real' Jesus. A Jesus is mentioned in Josephus' Antiquities of the Jews, which was written around 94 AD. 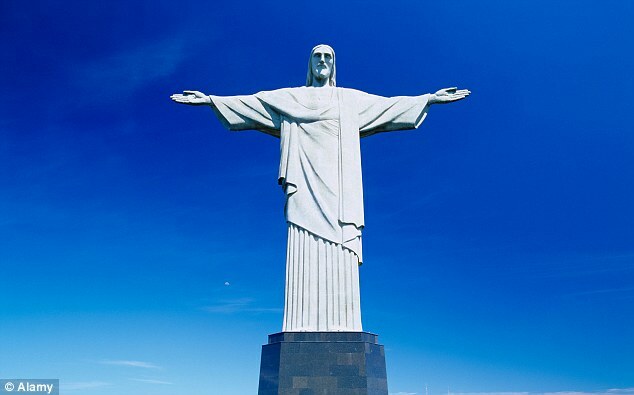 WAS JESUS A MIDDLE-CLASS ARCHITECT (IF HE EXISTED)? Rather than being born in a stable to a carpenter father, Jesus was actually the son of a successful, middle-class and highly intellectual architect. This claim comes from biblical scholar Dr Adam Bradford, who also says that between the ages of 12 and 30 - the so-called 'missing years' of Jesus' life, when little is known about him - he was studying at religious schools and became the highest-ranking rabbi in Judea. The radical revision of Christian history would suggest that, in preaching the spurning of worldly possessions for an austere life, Jesus may have been speaking from experience. Dr Bradford has analysed the Bible's original Greek and Hebrew scriptures to try to establish the truth about Christ's background. He says a mistranslation of the Greek word 'tekton' to describe the profession of Joseph, Jesus's father, is one of many mistakes that have led to a fundamental misunderstanding of Christ's character. Dr Bradford claims that while 'tekton' is usually said to mean carpenter, it more accurately means master builder or architect. As an architect, Joseph would have had a higher social status that enabled him to better educate his son. Roman historian Tacitus later mentions Christ and his execution with Pontius Pilate in his Annals, thought to be written around 116AD. Both mentions were a considerable time after his alleged execution. Mr Fritzgerald also takes issue with many of the stories about the Crucifixion that stem from the first Gospels of Mark, Matthew and Luke. He said: 'There are many examples of inconsistencies in the gospels that suggest they were written by people who did not live in Judea at the time they are set. 'Mark makes many mistakes about life and geography during the first century in Judea. 'If Jesus really had been arrested on the eve of Passover, they would probably have just put him in jail and tried him after the weekend. 'The trial itself violates the rules of Jewish law - why was he not stoned? 'What we know about Pontius Pilate also suggests he was someone who would not do what the Jews asked him and would often do what they asked him not to. Mr Fitzgerald argues that many of these stories were in fact incorporated into the story of Christ as literary devices rather than as a historical account. He said: 'There is also no evidence for the tradition that sees Barabbas - an anti-Roman rebel and murderer - being released while Jesus, an innocent, is condemned to death. Mr Fitzgerald hopes to have his new book 'Jesus: Mything in Action' out later this year.